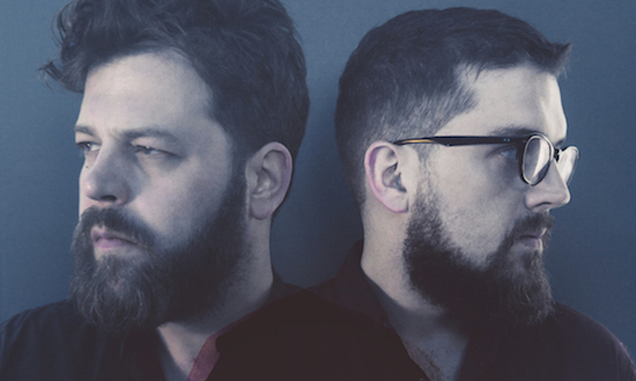 Critic fave Folk/Alternative duo Bear’s Den are releasing Red Earth & Pouring Rain on July 22nd. The release is the follow up to Islands their 2014’s acclaimed debut. “Islands” garnered significant critical notice and received an Ivor Novello nomination for Best Song musically and lyrically along with two nominations at the UK Americana Awards for both Artist of the Year and Song of the Year. 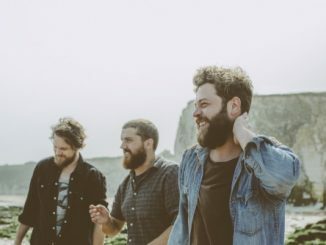 Bear’s Den’s music can best be described as a sophisticated blend of modern folk and spirituality. 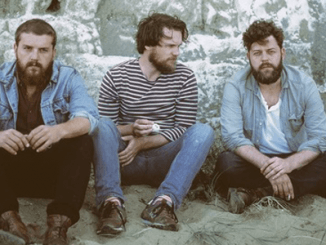 They share an underlying musical ethos with bands such as Smoke Fairies, Cherbourg and Mumford and Sons. Bear’s Den was formed in 2012 in West London. The duo is comprised of Andrew Davie on lead vocals and guitar and Kevin Jones on drums, bass and guitar. The name for the band was inspired by the themes of the children’s book, Where the Wild Things Are, playing with the motif of adults escaping and running away from the grown up world like the character Max does in the book. In interviews the pair has cited a number of various muses for this release; many captured while listening to the radio while driving at night on long journeys to gigs. Specifically inspiring were bands like The National, The War on Drugs, and rock virtuosos like Bruce Springsteen and Tom Petty. The title Red Earth & Pouring Rain comes from a book of poems by Vikram Chandra that Andrew Davie encountered while traveling in India. The album is loaded with yearning reverb vocals and swirling guitars as the pair attempt a change up from the more traditional folk feeling of “Islands”. The release begins with the title track. Captured is a dreamy atmospheric feeling reminiscent of the recent Frightened Rabbit release. The track is filled with eternally sparkling guitars and earnest lyrical delivery that make for an easily embraceable listen. The song begins a theme that will reappear frequently throughout the release which is a personal examination of the challenges and glory of love. Additionally proffered is the realization that there is hope in even the most desperate moments of a relationship. Songs such as Emeralds, Dew on the Vine, Love Can’t Stand Alone and Roses on the Breeze examine the happenstance of long term relationships that seem to culminate in turning points where a decision or correction has to be made. Each of the songs is incandescent and the tracks grow with repeated listening. The album up to about the half way point follows within a structure that delivers well crafted songs but nothing that jumps out of the cake. This situation morphs in the second half of the release where another kind of magic takes place and the album launches off into unmarked territory for the duo. New Jerusalem is one example of this change up as it brings an acoustic guitar to the forefront and the lyrics pivot to the relationship of siblings and the changes for better or worse that go on in those relationships over time. The lyric describes an older sister who fights the protagonist’s battles, but who he never credits for the wars she has fought and won for him. The song is evocative and extremely relatable no matter your own sibling relationships. Auld Wives is also a departure with its move to a mid tempo rocker and away from the folk influenced ballads found earlier on the release. This song marries an Olde English lyric to a modern accompaniment. Additional Broken Parable follows that same structure seeming to go through a time portal harkening to long past days. The lyrical and engaging narrative plays out over a cool keyboard coda, banjo and strong drums. The psychedelic Goth feel of Fortress is striking as it stands out with the juxtapostioning of Davie’s rich inviting voice welded to a heavier moodier turn, of special note is the great deep bass play on the track providing the mood. My favorite track is the spellbinding Gabriel. This song is stripped back in accompaniment and made better by its simplicity. The protagonist of the lyric is pleading to the angel Gabriel to stay and help his suffering and damaged soul. “Help me out Gabriel can’t you see the shape I’m in.” It is an evocative and deeply touching selection. The album ends with Napoleon a song that uses the lyrical parallel of Napoleon and fighting against equally formidable foes. The track discusses the need to summons fortitude to defeat the enemy in any facet of life. The accompaniment blends an insistent wavery guitar with a martial drum and echoing horns. It is a stirring noteworthy song and a grand way to bring the release to an end. 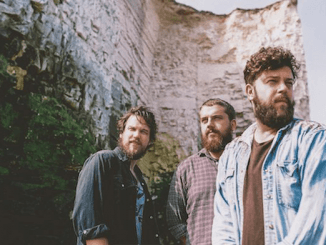 Red Earth & Pouring Rain is a worthy follow up to Bear’s Den’s Islands, the duo have a gift for writing powerful emotion laden songs. I found myself preferring the later half of the album to the first 6 or so songs. Not that the first six songs are not quality but the last half of the album transforms from beautiful standard folk ballads to a departure from what is expected providing some arresting tunes. On those tracks the duo slips their constraints and really goes for it thematically and musically making something distinctive. It is exciting to see that change up and the potential this pair has on offer. I hope to see more of that potential played out on future efforts.